Hospice patients are another term for terminally or chronically ill patients. They require quite a different approach and health management than any other type of patients, and there are both emotional and practical considerations that should be well thought about. Having a hospice condition doesn’t mean the end of the world for them. As a family member or a caregiver, the goal is to give the utmost possible quality of life with the limited time that is left. 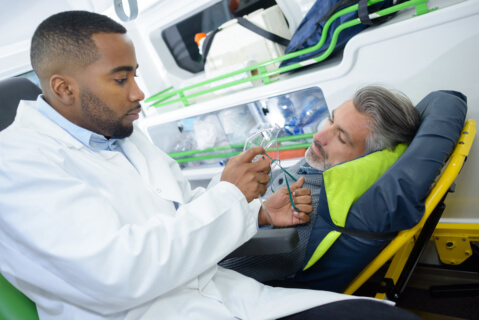 When one is diagnosed with a terminal illness, relentless emergency situations are the most common case for them, which make Medical Transportation Services really important. The most important feature of a transportation service that hospice patients will greatly benefit is the availability of services when needed. Force EMS provides Medical Transportation in Longview, Texas for hospice patients who have delicate conditions. In addition to safety on the road, the transportation vehicle is fully equipped with comfort features, medical assistance, and a dispatch team who will take responsibility for medical care while on transit. If a patient needs to come back for an appointment or further health checkup, this type of transportation service is greatly beneficial. With the fragile condition of hospice patients, a Non-emergency Transportation in Texas is all they need for substantial medical care before they get acute care from health professionals. The mobile intensive care is designed to accommodate and transport injured and critically ill patients and the paramedics are proficient enough to respond to emergencies of varying degrees. When one needs a medical transportation, you can phone us 24/7, and we’ll provide you with the emergency support and inter-facility transport service you need. This entry was posted in Hospice Patients and tagged health management, Medical Care, Medical Transportation. Bookmark the permalink.